Psychobabblings of a Middle Child : Are You Ready for a Rude Awakening? Are You Ready for a Rude Awakening? Okay everybody, pull up a chair and let me sit down. I am that excited! autographed copy. More details about my appearances will be posted on this blog in the near future. 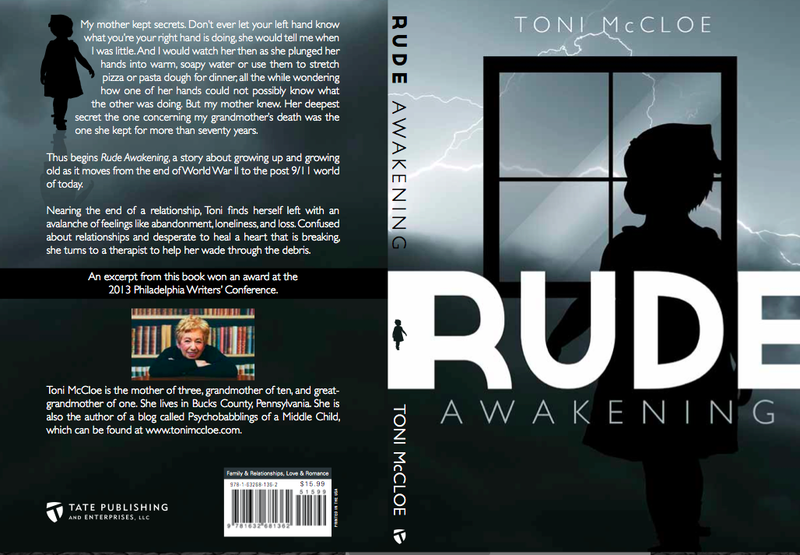 For those of you not in the area, or for those of you who simply can't wait, Rude Awakening can be found on Amazon If you like, you can bring a copy purchased on Amazon to a signing and I will autograph it for you. Thanks so much to everyone for all the interest and support for this project. I hope you enjoy the book.